Question: I’m due in two months, and I’m afraid I won’t have enough milk, because I had a hard time with my milk production when I went back to work after my first baby was born. I’m considering having my placenta encapsulated, but it’s expensive and I’m not sure we can afford it. 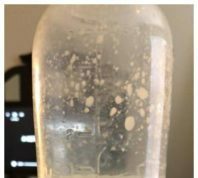 Will ‘placenta encapsulation’ increase my milk supply? I respect any mom’s right to do anything she wants to with her placenta. The first thing my son-in-law did when he and my daughter came home from the hospital with baby Charlie was to bury the placenta outside in a special spot. I did the same thing with my placentas after my home births. It became a family tradition as a way to celebrate the new baby’s birth. I have no problem with people who want to eat it, either. If you’ve ever really looked at a placenta, it looks a lot like a big slab of liver. It makes me a little queasy to think about eating it, but maybe that’s just because I hate liver. 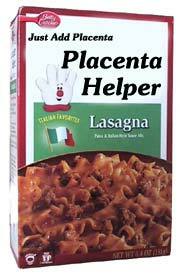 If you Google ‘eating placenta’, you’ll find tons of recipes from roast placenta to placenta pizza. Of course, you don’t have to cook it. You can get your placenta encapsulated instead. Encapsulation is a process in which the placenta is freeze dried and ground up and put into capsules. 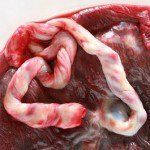 The people who are promoting “placentophagia” claim that this form of the placenta can do the same thing as eating it raw or cooked would do. But even if the placenta was the magical treatment the people who market it claim,there is no evidence that after cooking, freezing and grinding it up, it survives the process biologically intact, isn’t destroyed by stomach acid, and can be absorbed in a form that could be utilized by human cells. What I do have a problem with is the fact that “placenta encapsulation specialists” are making what I think are unfounded claims about the benefits, and charging a lot of money – often hundreds of dollars – to come to your house and encapsulate your placenta. It may have a placebo effect, but do you think it really does all of the following? Proponents of “placentophagia” also claim that it contains your own natural hormones’, is ‘perfectly made for you’, and will ‘balance your system’. The ad that really ticked me off claimed that ingesting placenta has ‘been shown to increase milk production’. But no,it hasn’t. And it’s not fair to tell mothers that it does.There are some natural remedies for low milk supply, like Fenugreek, but placenta is not on the list. If ingesting placenta did even half of the things it claims to do, it would be like a miracle drug, and moms wouldn’t have post partum depression, or lack of energy, or low milk supplies anymore, ever. However, there’s absolutely no evidence that taking placenta pills does anything to “increase lactation” or any of the other conditions it claims to prevent or treat. I firmly believe in supporting moms in having whatever kid of birth experience they want, but I think it’s a little bit of a stretch to compare humans to animals regarding eating the placenta. Animals need the extra iron and protein they get from eating their placentas in order to help them get the extra ‘fuel’ they need in order to nurse their babies. Human women are much better nourished and if they need extra iron, they can get it by taking an iron supplement. Other mammals can’t leave bloody body parts lying around to attract predators. Animals also bite off their baby’s umbilical cords, and sometimes eat their young. In some ways it’s like comparing apples to oranges. I don’t think there’s anything wrong with having your placenta dried, ground, put into capsules, or eaten raw if that’s what you want to do, but in my professional opinion, it’s a waste of money. I t may have a placebo effect, and it won’t hurt – but there isn’t one shred of evidence based research that it lives up to its claims, especially the part about increasing milk supply. So let the buyer beware.